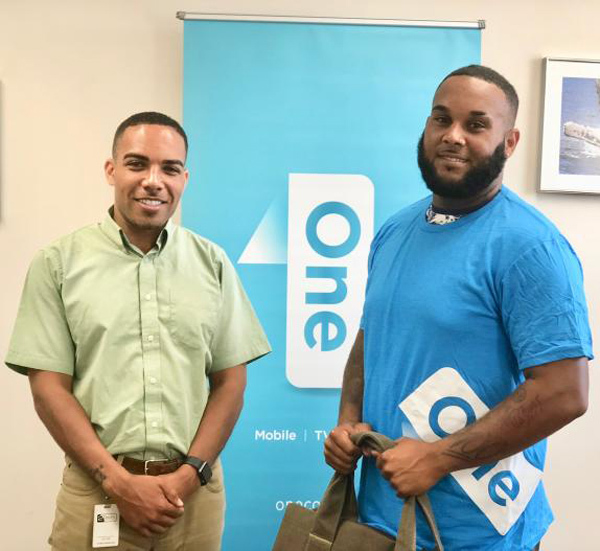 One Communications and the Bermuda Cricket Board [BCB] announced that the Premier League Player of the Week is Janeiro Tucker of Southampton Rangers SC, while the First Division Player of the Week is Macai Young of Cleveland County Cricket Club. 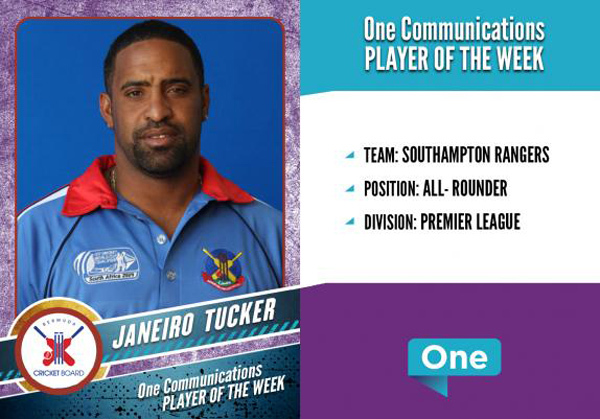 A spokesperson said, “One Communications and the BCB are pleased to announce that the One Communications Premier Division ‘Player of the Week’ is Janeiro Tucker of Southampton Rangers SC. Janeiro took 4 wickets for 23 runs off 9 overs and then scored 41 not out off 62 balls with 5 fours to secure a comfortable victory for his team. 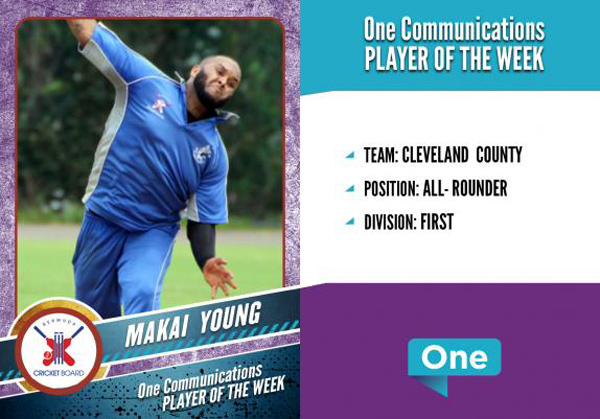 “The One Communications First Division ‘Player of the Week’ is Macai Young of Cleveland County Cricket Club. Macai took 4 wickets for 28 runs off 8 overs and then scored 20 not out off 11 balls with 3 fours and 1 six. This contribution ensured a victory that keeps Cleveland in the hunt for promotion in a very tight race with 3 other clubs.